In the twelve stories in this engrossing collection, Sara Schaff introduces us to characters at turning points in their lives; in doing so, she charts the way we take risks—or create illusions—in the face of the unknown. A newly blended family’s vacation is upended by one daughter’s mythmaking and another’s eagerness to believe her. A young couple on the verge of breaking up take one last trip together, only to have their reconciliation disrupted by uninvited guests. A woman faces accusations of theft by the very people who think they have saved her from a troubled past. In beautiful prose that is sometimes dark, sometimes humorous, Schaff ’s stories grapple with class, sexuality, and relationships in ways that feel revelatory and yet deeply true. Awkward, flawed, and hopeful, these characters’ stories hum with the regrets and desires that drive us—sometimes closer to our goals, sometimes heartbreakingly further away. 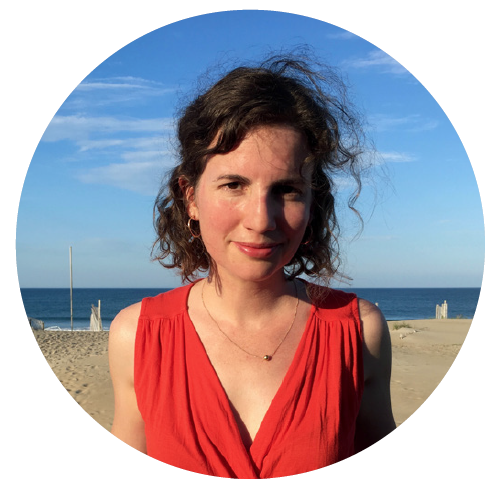 Sara Schaff’s writing has appeared in Michigan Quarterly Review, Joyland, LitHub, Hobart, The Rumpus and elsewhere. Her debut story collection, Say Something Nice About Me (Augury Books), was a 2017 Next Generation Indie Book Award Finalist in short fiction and a CLMP Firecracker Award Finalist in fiction. A graduate of Brown University and the University of Michigan, Sara has taught at St. Lawrence University, Oberlin College, the University of Michigan, and in China, Colombia, and Northern Ireland, where she also studied storytelling. Find links to her work at saraschaff.com. Here’s a collection to decisively refute those who would dismiss “domestic fiction.” These are stories of a devastated domesticity, of families and homes undermined by loss (of parents, of lovers, of jobs), and of their survivors clinging to one another. Schaff writes with great compassion and bracing honesty of the desperation of middle class lives suspended over the pit of poverty while taunting examples of affluence dance overhead. This is domestic fiction torn down, laid bare, stripped to the studs. These are stories about where we live now. Sara Schaff has written a simmering, quietly explosive collection of stories about innocence and desire, frailty and power, love and doubt. Her prose is subtle and full of grace, her characters clumsy and lovable, her grasp of human connection astonishing. A masterful, moving debut. This assured and compelling debut collection homes in on parents and children, lovers, siblings, co-workers, near-strangers, and makeshift families– all the bonds we struggle to forge or escape. 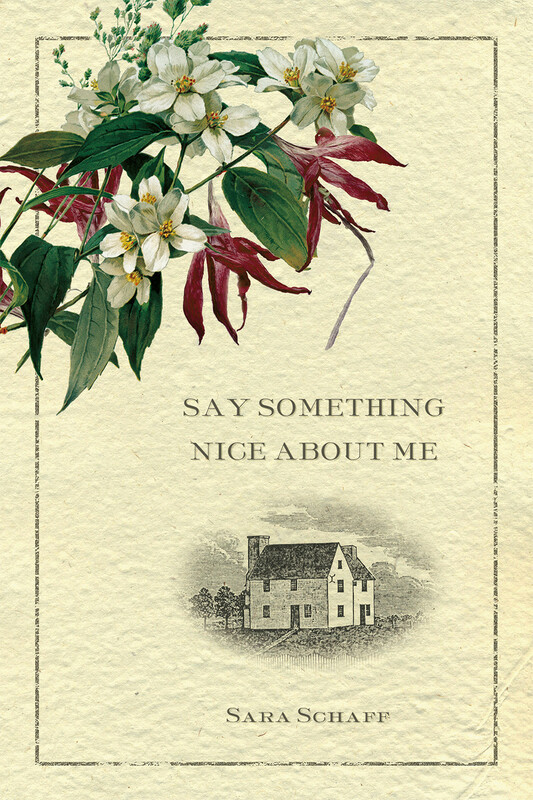 Say Something Nice About Me is filled with beautifully rendered detail and moments of breathtaking emotional insight. Somehow in these twelve stories, Sara Schaff manages to illuminate one of life’s most elusive truths: that moments of coming apart and coming together can be equal in their heartbreak. Sara Schaff is a graceful prose stylist, and her stories are smart and nuanced and rich with subtext. Connection in all its forms—the missed, the enduring, the complex—is the theme of this sharp and spirited collection. I devoured Sara Schaff’s Say Something Nice About Me over the course of one weekend. Schaff’s stories come with a precision and momentum reminiscent of Maggie Nelson’s Bluets and Katherine Heiny’s Single, Carefree, Mellow. Page after page, sometimes by way of a trailer park tragedy, sometimes by way of a beach-condo vacation gone awry, Schaff delights and surprises her readers with universal insights by way of exquisite particulars. This is a gut-wrenching debut collection.